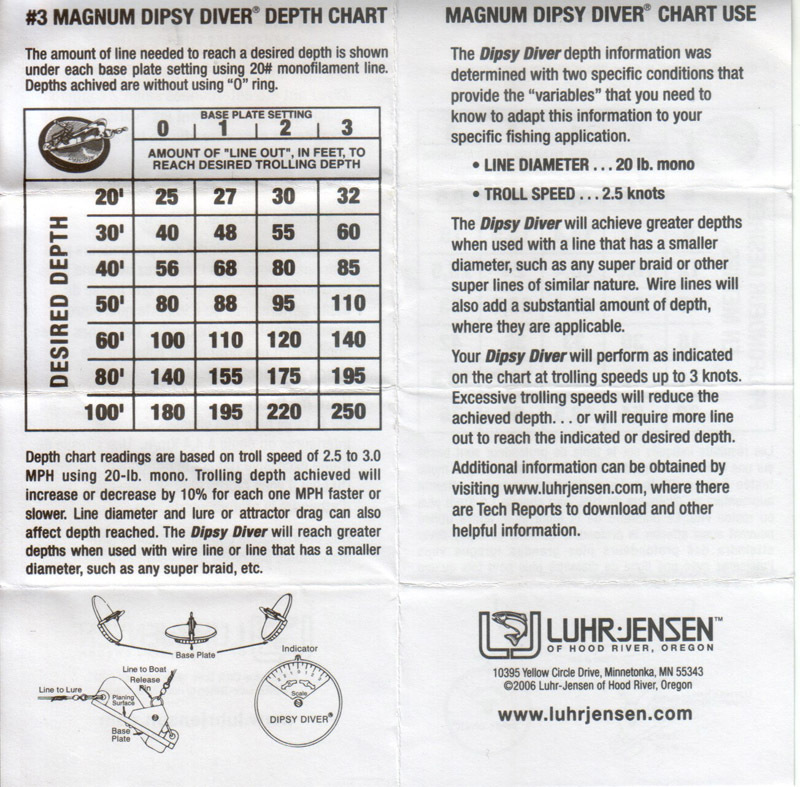 The Magnum Dipsy Diver is the bigger version of the Dipsy diver from Luhr-Jensen which goes from 20′ (6 m) tp 100 ‘ ( 30 m ). It is very easy to use and the auto-release system helps to fight the fishes. It is a light and cheap replacement solution for any downrigger. 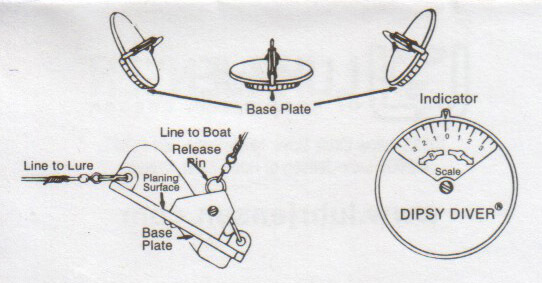 The other advantage is the ability to plan out of the boat track with the directional trolling sinker. Just move the bottom lead on right or left and the diver will plan on one of the three tracks. Theoretically, it is possible to fish with 7 dipsies, 3 on each side and one at the center, it is practically not possible but at least it is possible to fish along the shore. 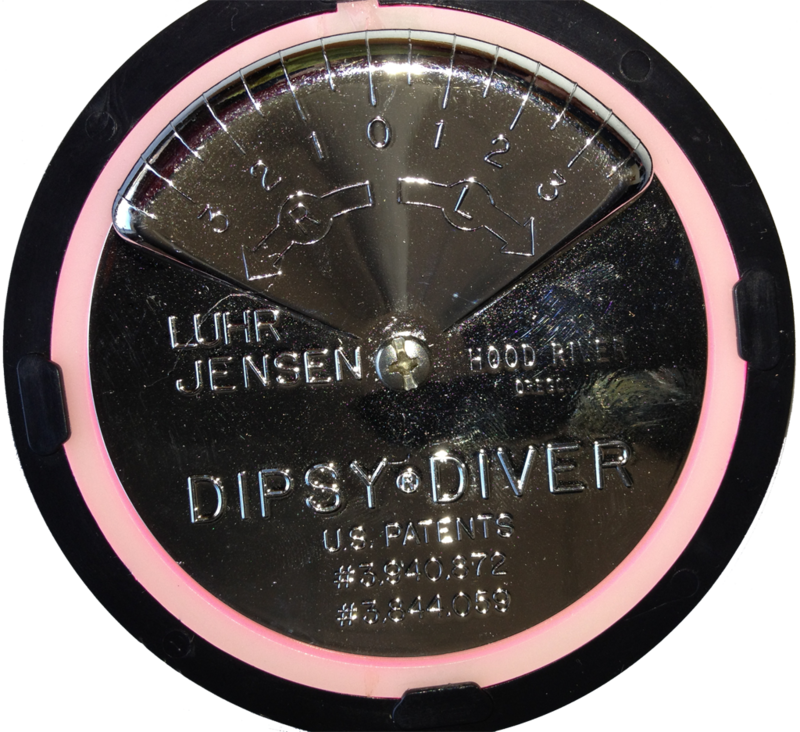 Dipsies are sold with one depth chart for the normal speed and 20 lbs line. The dipsies dive to a depth directly linked to the length of line out of the rod. If you have let go 16 ‘ (5 m ) outside of the reel, the diver will dive to 10 ‘ (3 m). If you speed up, the diver will go up, if you speed down it will down. 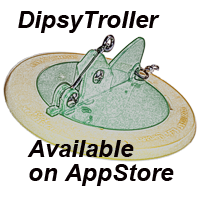 When the dipsy plans away, it will dive shallower and the app will take in account this settings to calculate the length of line. The black ring, you see on the above image, will take the diver up, again the app will calculate with this parameter. Another factor which will influence the depth is the diameter of the line. The nylon monofilament is way thicker than the braided lines like fire line or spider line. The thinner the line, the deeper it goes. The most easy parameter, but the length, you can change is the speed of the boat. The manufacturer charts are based on a speed of 2.5 mph (4 km/h ). 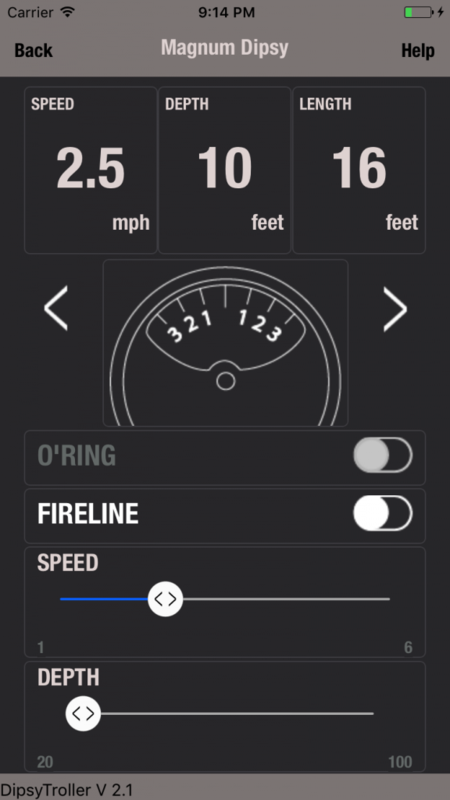 The app will calculate the length of line for the speeds from 1.5 mph to 6 mph.